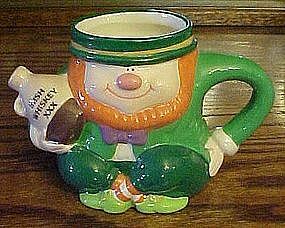 Brand new condition mug is made from hand painted ceramic and is in the shape of a little Irish leprechaun. Measures 3 5/8" tall. Not reccomended for dishwasher or microwave.